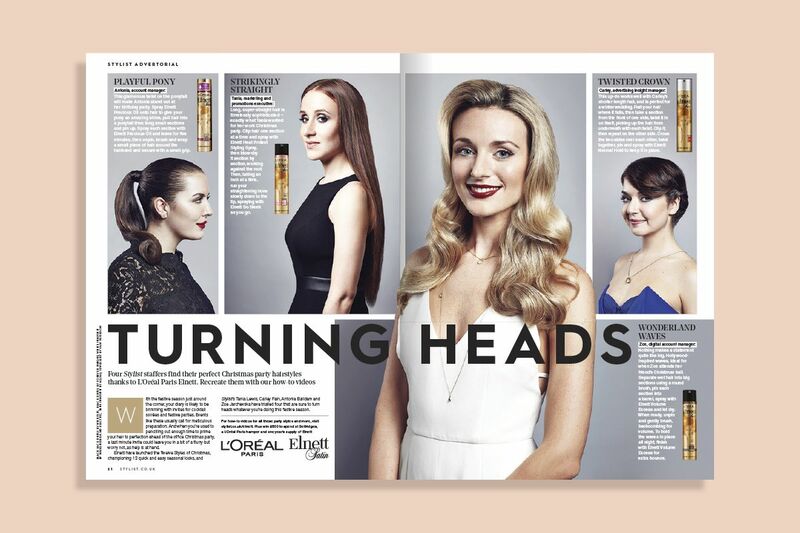 To position L’Oréal Elnett hairspray as the essential styling product for the party season, and ultimately drive sales across our reader demographic. We created a bespoke three-week campaign entitled ‘12 Styles of Christmas’, which highlighted the versatility of Elnett for a wide range of hair types, styles and occasions throughout the party season. Aware of readers’ thirst for our beauty team’s expertise and their trust in the opinions of our in-house talent, we chose four strong, on-trend winter hairstyles and helped readers achieve them with ‘How To’ videos and print content featuring staff members, including clear advice on which of Elnett’s hair styling products they required to nail each look. Taking a simple dilemma readers find themselves in – how to do something impressive and different with their own hair during the party season – and giving them solutions, this editorially led, cross-platform campaign easily exceeded benchmark figures in multiple areas.